Nonprofits today are serving women on many visceral issues – from domestic violence, veteran care, human rights, and breast cancer to economic independence, birth control and the wage gap. Organizations that make a real difference are changing the world every single day. The prevalence of nonprofits and charities that help women are extremely important to creating a world where equality reigns. These Nonprofits are strong, powerful, and competent organizations that are changing the game for women. Here we celebrate some of the phenomenal organizations and inspiring leaders that are empowering women to reach their potential. Ever wonder why women aren’t equally represented in American government? So does She Should Run, the nonprofit “a national network changing culture to inspire more women and girls to run for office.” Headed up by Erin Loos Cutrar, the organization has encouraged over 100,000 women from all walks of life to consider public office. By connecting women with resources, community, and leadership roles She Should Run has help change the face of public service. To us in the U.S child marriage is not always an issue we see up close in our society, but it is a problem that young girls in Africa, Asia, the Middle East, Europe and the Americas face. Girls Not Brides is a global partnership of more than 650 civil society organizations from over 85 countries committed to ending child marriage and enabling girls to fulfill their potential. They focus on raising awareness of the harmful impact of child marriage by encouraging open, inclusive and informed discussion at the community, local, national and international level. Local Nonprofits can make all the difference in the lives of many. Phyllis Abbot of Sheppard’s Hands realized that Kentucky doesn’t have a long-term house dedicated solely to female veterans, and there are few in the entire country and took action. 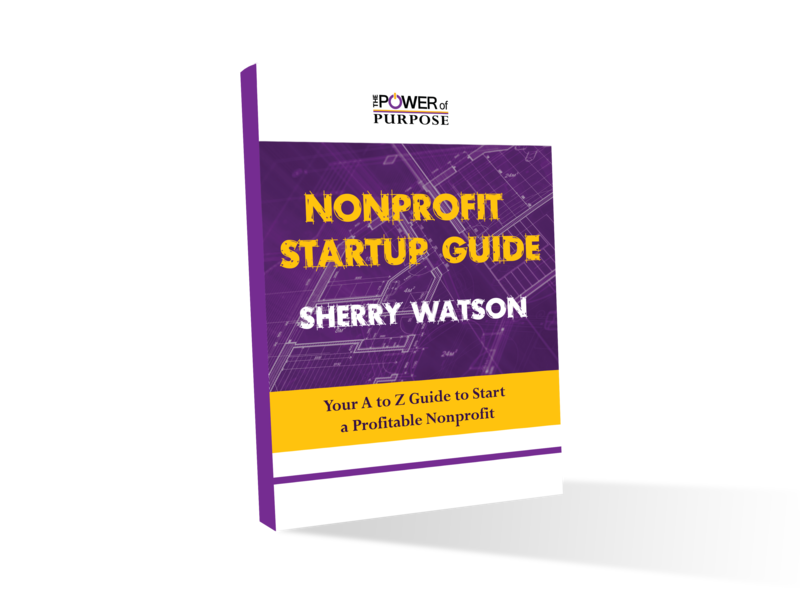 She became a mentoring student in Power of Purpose’s nonprofit training and created her own nonprofit. In addition to housing, Sheppard’s Hands will ensure that the women it serves have access to medical care and counseling, job training, help with computer skills, financial planning and other assistance. Growing up is hard! Girls on the Run knows this and strives to empower young girls to take charge of their lives and blossom into their full potential. What started with one school has grown to over 200 councils in all 50 United States and the District of Columbia. The CEO Elizabeth Kunz’s started volunteering for the organization in 2002 and presided over a time of incredible growth. Today, Girls on the Run has served over 185,000 girls. Classes meet twice a week and encourage girls to express themselves through movement. At the end of each season the girls run a 5K that gives them confidence in themselves and their abilities. The Malala Fund advocates for resources and policy changes at local, national and international levels to ensure all girls complete 12 years of school. Malala herself became a global advocate for the millions of girls being denied a formal education because of social, economic, legal and political factors. She was an outspoken advocate that was targeted by the Taliban in 2012, she survived and continued to advocate for education. By investing in the education of women and amplifying their voices, girls worldwide are being granted the freedom of education. WID’s goal is to strengthen the roles of women working in the defense industry. In a male dominated field, they are an organization for women working in the area of national security to learn from, inspire, and support each other. They also develop engaging networking events that inspire women to grow and connect within their field. Georgia Griffiths of the San Diego chapter has worked particularly hard to forward WID’s cause by helping to make their first chapter symposium become a reality. Proceeds from that event were used to establish the WID scholarship endowment with San Diego State University in 2009, which is now valued at $52,000. Georgia served on the board of directors as scholarship chair for six years and laid the foundation for the scholarship program. After 20 years of on-the-ground experience working with women in countries affected by conflict, Women for Women International takes a comprehensive approach to social and economic empowerment of marginalized women. Their current president Laurie Adams previously served as the chair of the founding board for The Other Foundation in South Africa. There she launched a community foundation model to catalyze local philanthropy after securing matching funds. Her hard work and dedication are some of the reasons women around the world are able to apply their strength and determination to overcome the most daunting challenges and WfWI is able to serve over 447,000 women. According to their website, “Tech jobs are among the fastest growing in the country, yet girls are being left behind. While interest in computer science ebbs over time, the biggest drop off happens between the ages of 13-17.” Girls Who Code was founded in order to inspire interest in a sector of jobs that is growing exponentially in the world and invest in skills that will help them succeed. Reshma Saujani, the organization’s founder and CEO, started Girls Who Code to close the gender gap in technology. She wanted the future face of tech to be female. Gender equality in computing fields is important and because of Girls Who Code’s efforts more girls will be equipped with the tools they need to innovate and create social change. Shaney Jo Darden became committed to raise breast cancer awareness when her friend was diagnosed. The Keep A Breast Foundation (KAB) is an organization that provides young people with breast cancer education and support. The organization is setting out to achieve its mission through education, awareness, art and action. Using the creativity of progressive art, they have found a way to connect culturally with younger people with customized breast casts made into pieces of art, social engagement and meaningful action. These women and organizations are changing the course of history by empowering thousand of girls worldwide. If you want to start your own nonprofit and be the change you wish to see in the world click here!